Why do we look different and act different? What do the new discoveries in genetics really mean to us? Which eye do you sight out of and does it make a difference in your behavior? Why do indentical twins look alike and act alike? Look at your hands. Are the fingers and thumb on each hand the exact length in relation to the fingers on your other hand? Are we locked into our genetic inheritance? Have you ever noticed how you differ from one side of your body to the other? Do your features or actions resemble someone in your family tree? Do we behave the way we do solely because of environmental influences? Do we reliquinsh our ability to make behavioral choices because of environmental limitations? Did your parents want you to play a musical instrument? Do you still play it? How do we explain the individual differences between infants when they haven't experienced much by their second birthday? Do our cultural, ethnic, and societal differences mean we can't possibly behave in similar ways? Is the key to our native disposition inside us long before we experience anything? Are you open minded to alternative explanations for human behavior? My first analysis took place when I was eleven. Robert Whiteside said I would enjoy sports, possess ambition with a desire to succeed, and enjoy family life. He also warned me to keep on track, take specific action, and limit the number of projects I started. How true that turned out to be. In each succeeding analysis, Robert gave me similar, accurate direction and assessments of my character. I grew up with Personology. Robert Whiteside was my uncle. Before he passed away in the Fall of 1995, he helped thousands of people find their true identity. To me, Personology is a way of life. A behavior profiling method called Personology synthesizes ancient character reading techniques with modern scientific knowledge of genetics and heredity. Personologists look at a physical structure and determine how it indicates a behavior pattern. Over the years, they have conclusively proven that our genetic inheritance (our structure) is an indicator of our behavior patterns. Millions of people have an intense desire to understand the links between genes, appearance, and behavior. Personology explains how our genes express themselves in our structure and personality. Everyone knows that our ancestors' genes contain the data that makes us more like them and different from others. After all, each of us probably has a strong resemblance in mannerism and appearance to someone in our immediate family. Structure indicates function. Personology breaks the parts of a personality into finer pieces (traits) and shows how traits expand in outward expression. Everyone has the same traits except to different degrees. Each trait has its place, large and small, in the total picture of an individual. Each trait can cancel or intensify the expression of other traits. Personology, therefore, shows us a truer picture of the how and why of our differences. People get rational and reliable explanations for their feelings, speech, and actions. They learn how to make changes in their lives by directing their traits in a positive way. What we do with our traits determines our level of contentment. As we begin to control of our lives, we feel less victimized by what goes on around us. Personology offers a fresh, unbiased outlook toward others. People who use Personology in their daily lives tend not to judge the behavior of other people as good or bad. Everyone begins to realize that people are just "built that way." Understanding Personology takes the sting out of relationships. People are starting businesses, selecting partners/suppliers/providers, determining their earning potential, and working independently. We need confidence in our selection of co-workers, friends, and partners and balance in our personal relationships. More and more individuals are doing for themselves what employers used to do for them. However, they need newer, better tools now. Everyone wants a simpler life yet our social and political structures appear more complex. Many people are starting to believe that conventional, accepted solutions for social issues fail to reach the core of our problems. We are no longer comfortable with complicated explanations for situations that appear quite clear. on the street, in their homes, and face to face. Humanity yearns to discover the secrets of how our features, expressions and physical structure relate to our inner nature. Ancients sought strength of character by dressing up as animals that they believed reflected desired traits. They believed in a relationship between appearance and behavior. Pythagoras, Socrates, and Plato used a form of physiognomy (structure indicates character) to discover the soul of an individual. Aristotle and Hippocrates tried to make a science of it and looked at constitutional body types. Galen (150 A. D.) explored the function of the brain and divided it into three areas: imagination, reason, and memory. Lavater (1741-1801) tried to blend the spiritual and physical into a philosophy of physiognomy. Around 1800, an Austrian physician, Franz Joseph Gall, revisited Galen's work and tried to prove the "brain indicates function of structure" idea. With help from an associate, he originated a system named phrenology. Phrenology, unfortunately, did not last long as a reputable explanation for human behavior. Detractors never disproved all of the basic tenets of phrenology but phrenologists failed as a group to sustain their credibility. 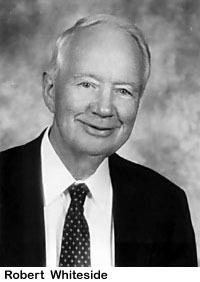 More than 70 years ago, Edward Vincent Jones discovered the first personality traits in a hereditary pattern. While a circuit court judge in California, Jones began to notice the facial similarities of people charged with similar crimes. Human behavior fascinated Jones all his life. So, while on the bench, he began to categorize and name his version of personality traits. Eventually, he became well-known to law enforcement officials as they integrated his work into their own efforts of criminal identification. By the early 1940's, he became an established lecturer on Personology. Jones gave a demonstration in Tulare, California. A skeptical Robert Whiteside, editor of the local newspaper, and his wife, Elizabeth, attended the event. A surprised Robert watched as Jones summoned Elizabeth from the audience and began to tell her things about herself Jones could not have known previously. The Whitesides immediately realized the enormous potential of Personology. Jones and the Whitesides formed a partnership to further study the traits and their applications. They spent several years observing, recording and tracking the findings of thousands of test cases. In 1951, Robert began to statistically prove their discoveries about Personology. Finally, a master list of basic traits emerged. As a result of their effort, we now have Personology, a modern method of assessing potential human behavior. There are 68 behavioral traits in Personology. A trained observer identifies each one with sight, measurement or touch. There are five trait areas: Physical, Automatic Expression, Action, Feeling and Emotion, and Thinking. 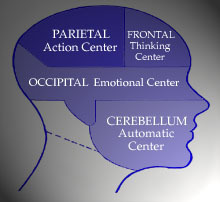 The placement of each trait into an area develops logically from its location and relationship to a corresponding area of the brain (drawing above). Each of us possesses all the behavioral traits to varying degrees. The degree of our trait's intensity makes us different from each other. Each trait is distinct, but together they compose our personality. They do not blend individually but they merge in their outward expression. Since each individual expresses a unique array of traits, this process of assessing human behavior is specific, not general. While many behavior evaluation tests predict a number of general, basic types of personalities, personologist do not believe in groups of personalities. We believe that each of us has our own patterns of behavior and that there is no one exactly like "you." Assessment transcends all racial and ethnic boundaries, meaning that Personology is totally objective and evaluates each individual's potential. Personologists take great care when describing traits and assigning definitions. Although some trait definitions appear similar, each trait is distinct and stands on its own. Personology's exactness in terminology makes it easy to administer. In addition, personologists know exactly what another personologist means when they describe a person's traits. Do traits change over a lifetime? Some do, others don't. Environmental influences shape and fine tune our behavior, but our natural disposition gets us through 85% of the time. When we understand the essence of each trait, we realize we do indeed have a behavioral choice. We call this a "turning point." Appreciating a turning point and controlling our reaction to a situation liberates us from the trap of "predictability." One of the main reasons for Personology's acceptance is its key operating principles. Below are the counseling techniques and core beliefs emanating from the foundation of Personology. Personology implies service to humanity. Its purpose is to help people get along better. Personologists endeavor to make their work unnecessary. Each person can be approached with a different assessment method. As a result, practitioners don't attack other approaches. This methodology is simply another tool, furthering mankind's quest to better understand behavior. It is sharply different from any other approach because the underlying premise is that humans express themselves from inside out, exercising the gift of choice. Practitioners believe in the 10 acre principle. We have our own 10 acres and share 3 acres with someone when we interact with them. Understanding boundaries establishes areas of mutual respect. This is a positive principle. Understanding and appreciating our differences takes the "sting" out of relationships and adds balance to our life. We learn to talk to the other person's traits and work on our own. 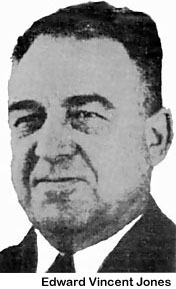 Edward Vincent Jones began the study of the binary nature of man in 1910. Jones carefully studied how different physical characteristics indicated individual behavioral tendencies. He also found that each side of our body is different from the other. In 1949, Jones wrote, "Man has long accepted that each was different from all others in many respects, and was recognizable as an individual. Man also has known that the motivating impulses, instincts, emotions, or reactions of each are different in degree and timing, even though the same number of these elements may always be present. "From these two basic observations, two other phenomena became evident and are here presented, that man is different one side to the other, both in measurement and in impulses, instincts, and reactions; and each side reflects a parent in character." So, what is important about this asymmetry? Well, since physical characteristics are the key indicators of our patterns of behavior, the more we differ from one side to the other, the more our moods differ. These mood swings give us sparkle and add dimension to our life. Our side-to-side differences account for our complexes and emotional instabilities. They indicate the differences in our dexterity, our dispositions, aptitudes, health, poise, vocational potential and personality. Jones further wrote, "The body structure on one side of an imaginary median line is controlled by the opposite brain hemisphere. The structure on one side reflects the paternal genetic pattern, while the other side reflects the maternal genetic pattern. When these two sides are quite different, the sensitivity and susceptibility to the bombardment of environment is noticeably different. "Every tailor and dressmaker knows that the right and left sides are generally dissimilar. Every oculist knows that when he fits a pair of spectacles, he generally has to adjust the (ear pieces), because one ear sits higher or lower, or forward or back, of the other. Now, for the first time, the significance of the binary nature of man is explained." Natural asymmetry exists wherever we look in our surroundings. It is more the rule than the exception. Since we differ from side to side as a result of the mingling of the structural DNA of our ancestors, traditional studies of the individual as a whole person miss the point. Only in Personology are the constitutional differences between parents considered. Jones continued, "Heretofore, examination of behavior traits has been conducted with the assumption that because man's psychological nature, his physical heritage was inconsequential." Personology dramatically alters this perception. If you put on make up or shave off your stubble, the evidence is right there in front of you. You know. You can see it. You are not an exact copy, left to right. Every single one of us differs from one side to the other. As you can see, this great actor possessed two intensely dissimilar sides. The differences in trait indicators amplified his innate ability to play such vastly different characters throughout his career. In one mood, he could be quite gruff while in the other mood quite docile and subservient. without written permission from the author, except for in the inclusion of brief quotations in a review. and the Personology Institute, San Diego, CA, and cannot be used without their consent.